“People cheer here at DCCC headquarters as Manchin is predicted to have won,” Resnick tweeted Tuesday night. 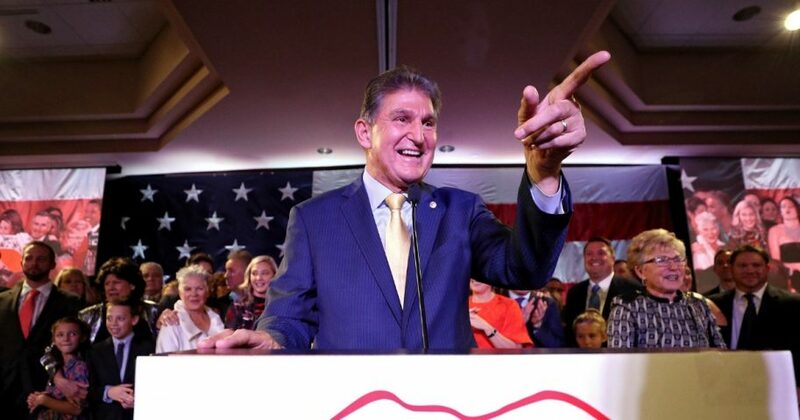 The reaction from Democrats was surprising given Manchin’s coziness with the president. In October, Manchin announced that he would vote for Supreme Court Justice Brett Kavanaugh’s confirmation. Manchin was the only Democrat who broke ranks during that heated confirmation battle. Both he and Republican moderate Susan Collins of Maine were the deciding votes in getting Kavanaugh on the court. Following his vote, Manchin was swarmed by leftist activists chastising his decision.